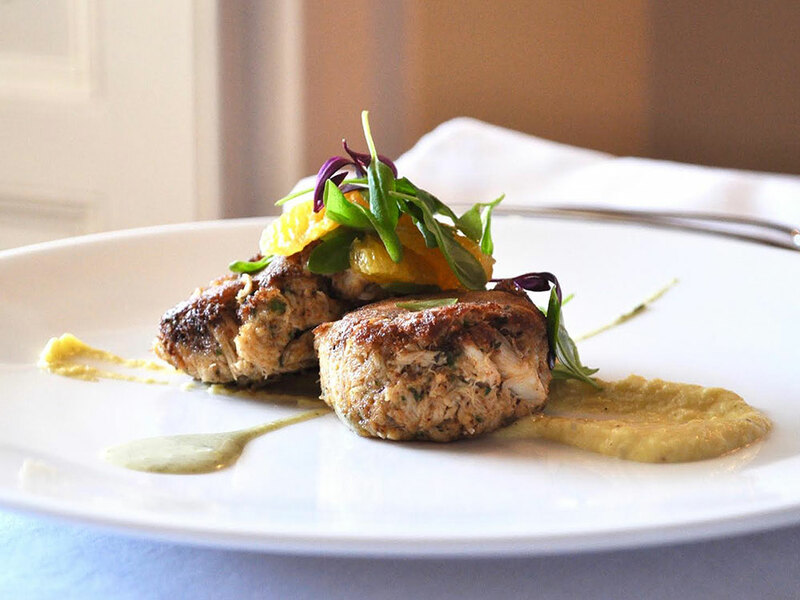 Pat Conroy once said “A recipe is a story that ends with a good meal.” At the Anchorage, every dish of fresh, comforting, Lowcountry cooking tells a story—and our guests listen with rapt anticipation. January 2017 marked the return of the Ribaut Social Club, a fine dining and social space for Beaufort locals and visitors to mingle over cocktails and impeccable regional cuisine. The relaunch opens our culinary offerings to the public for the first time, and reservations are strongly recommended. Our aim is to capture the incorrigible spirit and convivial atmosphere of the original Ribaut Club, established at the Anchorage in 1891. In its heyday, the Club hosted performances, grand parties, dances and even gambling—a raucous getaway from buttoned-up social strictures of the time. Today, guests can enjoy dinner with unrivaled water views or a sophisticated brunch surrounded by 300 years of Beaufort history. We’ve also hosted exclusive events like the Pat Conroy Literary Festival VIP Dinner and a scrumptious Lowcountry Thanksgiving feast. Byron Landis, our executive chef, elevates the cuisine at our award-winning boutique property. We are currently serving dinner in the dining room and 2nd floor front porch & cocktails on the 3rd and 4th floor porches (must have a dinner resrvation or staying at the inn & weather permitting) from Wednesday to Saturday (5-8 p.m.) and a fresh, hearty Sunday brunch (10:30 a.m. – 2 p.m.).